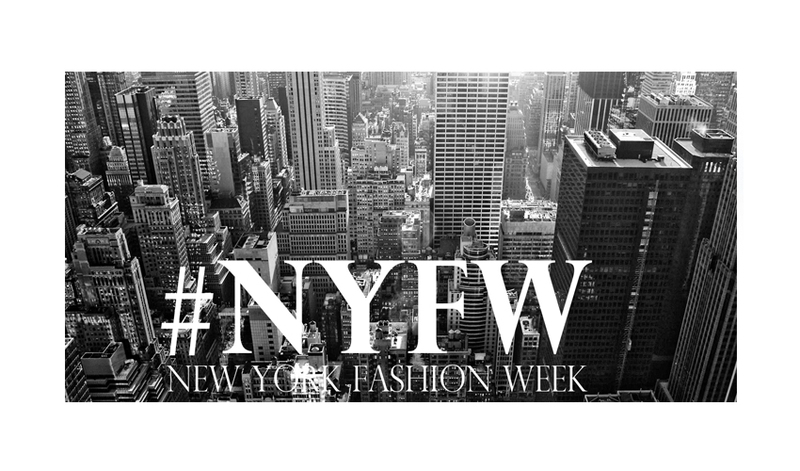 New York Fashion Week goes far beyond the runway shows; it’s about conquering the city that never sleeps by creating new relationships and learning the city’s hot-spots (including both wi-fi connections and venues). Like a personalized special blend of Tom Ford cologne, I took NYFW and made it my own; linking the city with a recognizable scent of memories that will last a lifetime. This year was the first year that the CFDA (The Council of Fashion Designers of America, Inc.) had imposed a ban on bloggers. It was a drastic attempt to make the event more exclusive to industry buyers and celebrities. Although the event was noticeably more strict – closing off the upstairs lounge to select guests and opening the shows only half an hour before the show times, the attendance of bloggers was still prevalent. But really, nowadays who isn’t a blogger? Almost everyone has some form of ‘blog’, whether it be your Instagram, Twitter, or even Facebook account to document your notable experiences. Being a very unpopular topic of conversation, it was as if the blogger ban never existed. Will the CDFA continue to impose more rules for the next fashion week in September, and continue to make bloggers feel unwelcome and second rate? Running on many superficial standards, the event has a reputation to uphold which means aside from celebrities and top industry professionals, they want the best looking and best dressed guests sitting front row. My advice for newbie visitors to NYFW next year: if you want to make it in the fashion industry, look good and know that your personal style and outfit selection can counter even the most exclusive rules. 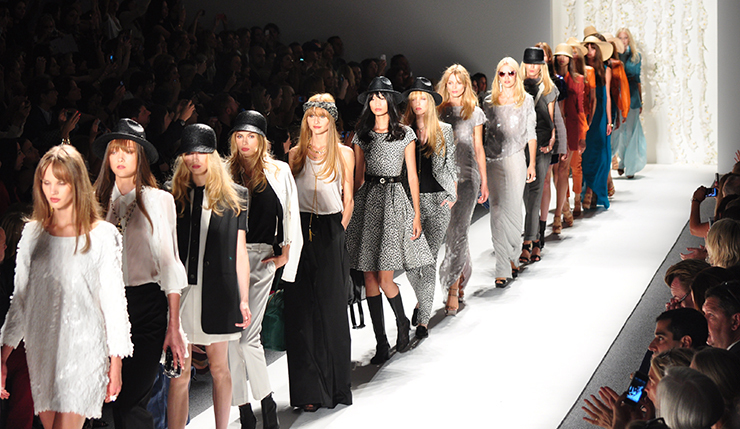 Kicking off New York Fashion Week, I attended the semi-annual BCBG Fall 2014 show at the Lincoln Center Theatre. BCBG featured amazing furs and was concluded by Max Azria and his wife Lubov waving to the wide-eyed fashion enthusiasts, thanking them for their attendance. A few days after their BCBG show, Herve Leger, a brand also designed by Max and his wife, followed having their models wear sleek ponytails accented with blue streaks. Continuing with the irony of the “blogger ban”, the Rebecca Minkoff show seemed to be a blogger favorite. She showcased deep toned gorgeous coats with her Fall 2014 collection, and was no doubt a hit on social media. Zosia Mamet (Shoshanna on the popular HBO television series GIRLS), was spotted in the front row. Noon by Noor (noonbynoor.com), a Bahrain based women’s wear label, showcased their collection during the second half of NYFW. The show was attended by several celebrities including Solange, Coco Rocha, and Nigel Barker. Ending what’s known to many as the best week in February, American Vogue editor-in-chief Anna Wintour attended the Ralph Lauren show fashionably late, and stayed to congratulate him on his achievements. Being no shortage of NYFW after parties, I experienced the “FOMO” phenomena, otherwise known as a gruelling ‘fear of missing out’. Being too many fashion week parties to list, I give the BCBG official after party an honorable mention, having selected guests attend The Boom Boom Room located in The Standard, High Line Hotel. The party offered an amazing view, complimentary drinks, and great company. 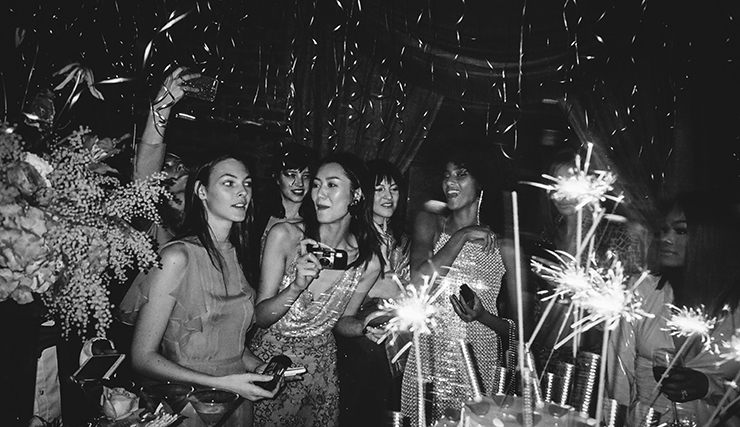 The CDFA may be able to impose a ban on runway shows, but when it comes to night life, these bloggers are often spotted at the most chic parties. In collaboration with Gypsy Warrior and Toni & Guy USA, Lookbook hosted their fashion week blogger party at the Noorwood Club, a hip art gallery located in Chelsea. Many notable “lookbookers” mingled enjoying great food, drinks, and makeovers. Aside from the fashion shows and the abundance of after parties, I had the pleasure of meeting some amazing people in the fashion industry. I spent time with Canadian bloggers Bianca Venerayan and Dani Roche, also known as Kastor & Pollux in the fashion world. Behind their inspiring style, I found their personalities to be quite refreshing. With multiple dinner dates, wandering around the MoMA museum, and our all-afternoon crepe quest, these Toronto natives are two girls you want to get to know. 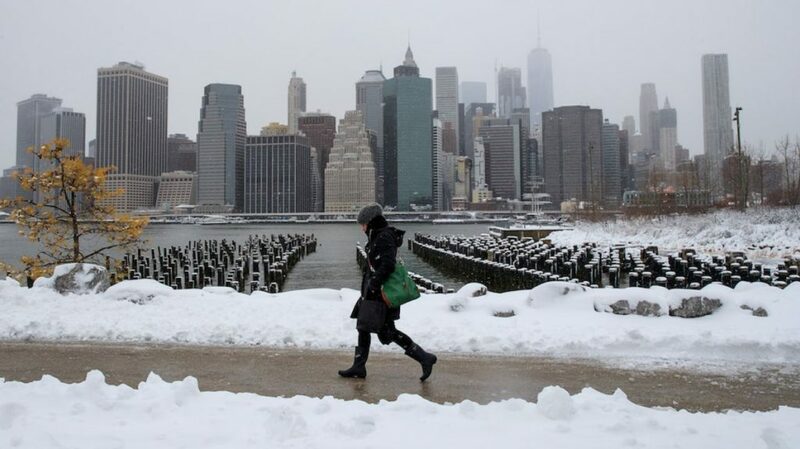 The big dilemma throughout fashion week was how to dress to the nines and also survive the New York snow. Is there room for practicality during fashion week when it comes to clothing? I found not even a snow storm will stop select guests of NYFW to alter their outfit plans; a few even trekking through the snow wearing open-toned boots. It was certain that for some, designer forecasts outweighed any weather forecasts during fashion week. 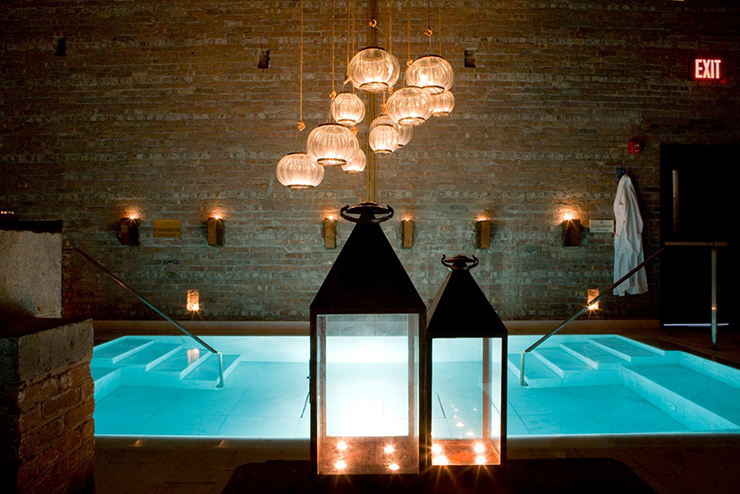 Being in a city that never sleeps combined with all the stresses of fashion week, I found the spot to revive your energy can be achieved at Juvenex: The Jewel of New York Spas. Offering their services 24 hours a day, the acclaimed spa is a popular spot for athletes and Broadway performers who end their work days in the early AM. Naturally I had to try it out and can now say by experience that Juvenex is a perfect way to end the night with a massage and their highly recommended heat igloo, even at 2 in the morning. Although nearby Starbucks locations were a popular location for fashion-goers to hangout throughout the week, you won’t find the top editors sitting there with their laptops to finish up their work. I learned the Wall Street of fashion to be found within the ‘library’ of The Core Club only being available to exclusive members and their guests.